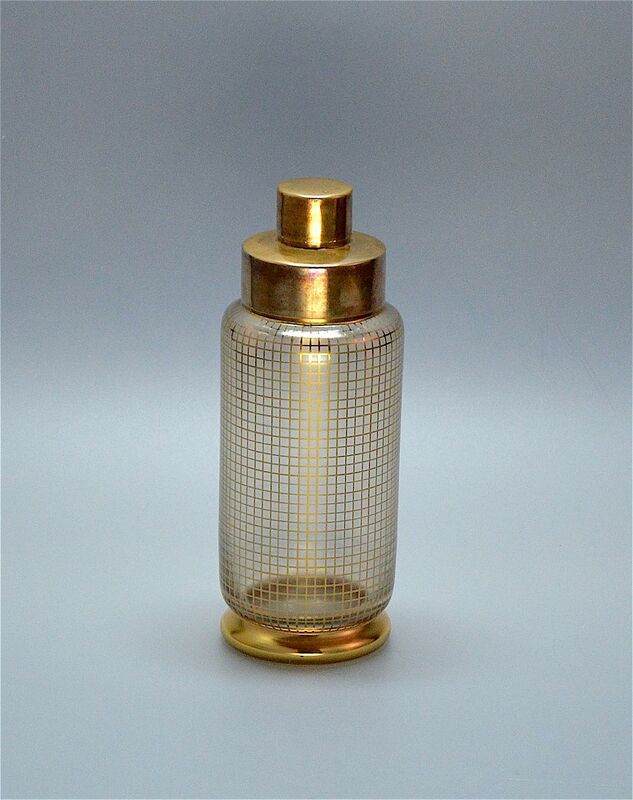 This very elegant cocktail shaker was made during the Art Deco period probably in France. The glass base has a gilded foot and is decorated with a pattern of gilt saucers. The skyscraper top is gilded and the top comes off to reveal a removeable inner section with strainer.